Beyond AI. Technology and computing are becoming more and more alive, by incorporating functions of living systems such as intelligence, evolution, emergence, self-repair, self-reproduction, and learning. By researching at the boundary of science, fiction and art, we seek to explore future (speculative) scenarios at the intersection of biological life and artificial life, and to carry out research towards their practical realization. We use a bottom-up complex systems and artificial life approach to artificial general intelligence. Our lab is located at the Dept. 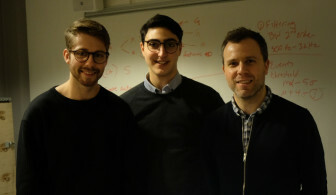 of Computer Science, and it is part of the OsloMet AI Lab. Two PhD positions in the DeepCA project - Hybrid Deep Learning Cellular Automata Reservoir. Three MSCA IF post-doc positions in Artificial Life, Artificial Intelligence, and ALife art..
Two PhD positions in the Socrates project – Self-Organising Computational Substrates. One year fully funded research position in Applied Computer Vision. We accept visiting researchers. Send an email to stefano.nichele@oslomet.no. We mentor students on research projects, bachelor and master thesis at the intersection of living technology, artificial life, artificial intelligence, robotics, computational neuroscience and art. We expect to produce some sort of tangible results by the end of the mentorship period, for example a research paper, a poster, or a demo/presentation of the project. Interested? Send an email to stefano.nichele@oslomet.no. Dr. Gustavo Mello, Structural Models of Biological Neural Networks. 2018 (ongoing). Sidney Pontes-Filho, Evolution of discrete dynamic systems for modelling computational systems based on self-organization through local interactions. 2018 (ongoing). Kristine Heiney, Self-Organizing Models of Artificial learning in neural substrates, toward strategies to restore perturbed dynamics. 2018 (ongoing). Vako Varankian, Humanoid robots and swarm robotics (development and public relations). Nicholas Christiansen, NTNU. In-vitro and computing models of neural networks in amyotrophic lateral sclerosis. 2019 (ongoing). Vegard Fiskum, NTNU. Modelling neural network dynamics in amyotrophic lateral sclerosis. 2018 (ongoing). Peter Aaser, NTNU. Hybrid computer-neuro system with self-organising networks. 2016 (ongoing). Johannes Jensen, NTNU. Reservoir Computing with Evolvable Nanomaterials. 2015 (ongoing). Kristoffer Olsen, UiO, Towards and Environment for the Evolution of Artificial General Intelligence. 2019 (ongoing). Magnus Wang, NTNU, Deep Learning meets Neuroevolution. 2018 (ongoing). Erik Wiker, NTNU, Deep Learning meets Neuroevolution. 2018 (ongoing). Kristin Bergaust, art collaborator, Dept. of Art, Design and Drama, OsloMet. Alex Alcocer, robotics collaborator, Dept. of Mechanics, Electronics and Chemical Eng., OsloMet. Ioanna Sandvig, neuroscience collaborator, Dept. of Neuromedicine and Movement Science, NTNU. Benjamin Bocquillon, ISEP Paris (internship), Swarm robotics for evolutionary art. 2018. Erik Aaron Hansen, OsloMet. Achieving Connectivity Between Wide Areas Through Self-Organising Robot Swarms Using Embodied Evolution. 2018. Khagendra Basnet, HiOA. IoT based temperature sensors monitoring for smart workload distribution on cloud systems. 2017. Muhammad Qammar Shehzad, HiOA. Autonomous and Self-Organisisng IoT. 2017. Santosh Nepali, HiOA. Evaluation of GPU-based cloud solutions (deep learning in the cloud). 2017. Ramesh Upreti, HiOA. Evaluation of Internet of Things solutions with cloud analytics. 2017. Tony Chau, NTNU. Gesture control with electromyography and deep learning. 2016/17. Andreas Molund, NTNU. Deep Reservoir computing using Cellular Automata. 2016/17. Magnus Gundersen, NTNU. Reservoir computing using parallel Cellular Automata reservoirs. 2016/17. Mathias Ose, NTNU. Cellular Automata development with CPPN-NEAT. 2016/17. Peter Aaser, NTNU. Investigating in-vitro neuron cultures as computational reservoir. 2016. Sindre Fjermestad, NTNU. Modeling of neuronal structures with CA-HyperNEAT. 2016. Kristian Normann, NTNU. Computation-in-materio: Computation with Light in Amorphous Silicon Solar Panels. 2016. Emil Taylor Bye, NTNU. Investigation of Elementary Cellular Automata for Reservoir Computing. 2016. Sigve Sebastian Farstad, NTNU. Evolving Cellular Automata in-Materio. 2015. Tom Glover, NTNU. An investigation into Cellular Automata: The Self-Modifying Instruction-Based Approach. 2015. Caroline Sæhle, NTNU. Evolvability of Instruction-based Random Boolean Networks. 2015. Andreas Giskeødegård, NTNU. Inkrementell Vekst av Genomet for Evolusjon av Genotype Representasjoner for Kunstige Cellulære Organismer. 2013. 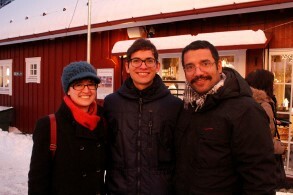 Gonzalo Alsina, NTNU. Analysis of Cellular Machines, Artificial Development and Artificial Evolution. 2013. Håkon Wold, NTNU. Can Genome Information be Used to Guide Evolutionary Search? 2013. John Anthony, NTNU. Using Genome Parameters to Predict Structural Complexity in Artificial Organisms. 2012. Joachim Berg, Gustav Berggren, Arqam Sajid, Ruben Jahren, Sivert Borgeteien, OsloMet. Evolved art with transparent overlapping and geometic shapes. 2018. Nikolai Sveum Hopland, OsloMet. Developing a proof of concept for Softbank Robotics Pepper with an emphasis on tracking and repositioning system and camera vision using CNNs. 2018. Vako Varankian, OsloMet. Developing a proof of concept for Softbank Robotics Pepper with an emphasis on tracking and repositioning system and camera vision using CNNs. 2018. Mona Heggen, OsloMet. Developing a proof of concept for Softbank Robotics Pepper with an emphasis on tracking and repositioning system and camera vision using CNNs. 2018. Sondre Rosenborg, OsloMet. Developing a proof of concept for Softbank Robotics Pepper with an emphasis on tracking and repositioning system and camera vision using CNNs. 2018. Christina Eline Ellingsen, OsloMet. Coordinator of Living Technology Lab. 2018. Stephanie Hoebeke, OsloMet. Visualization of Random Discrete Color Sampling, artistic exhibition. 2018. Haakon Haraldsen Roen, OsloMet. Artificial Life - Swarm Robotics Performance, artistic exhibition. 2018.